How would you feel if you heard the sound of water? Of course the answer is quiet and cool. This quiet & cool shades you can apply within the family room. The “get-togethers” with the family will be more enjoyable. As we know, the element of water is one way our closeness to nature in the dwelling have a strong character. In terms of aesthetics, water has brought the value of beauty. Meanwhile, from the psychological side, the water brings soothing effect, reassuring and calming. 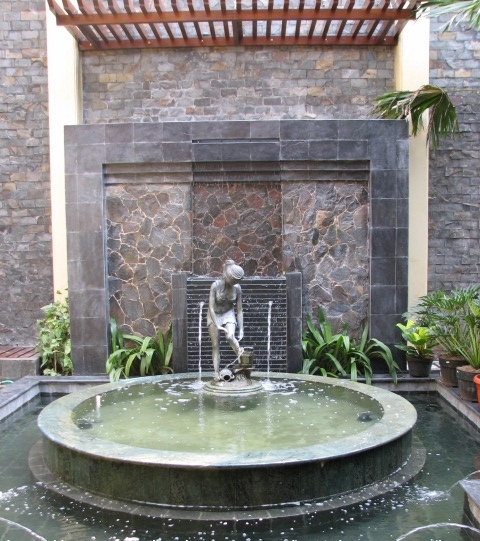 Application of the water element in the home is usually manifested through the creation of a fish pond or a pond complete with fountains. This facility tentunyanya require sufficient space to land. Then it could be placed on the land back or front yard. 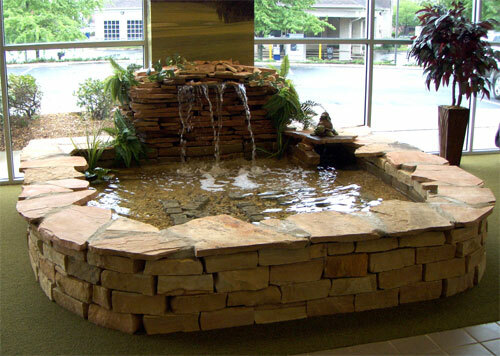 Inspiration water element as shown in the example image below, is a mini waterfall in the area of ​​open space or interior. It’s as if the combined wet and dry areas. Wet areas cuboid placing tables and chairs fitted with a mini waterfall. 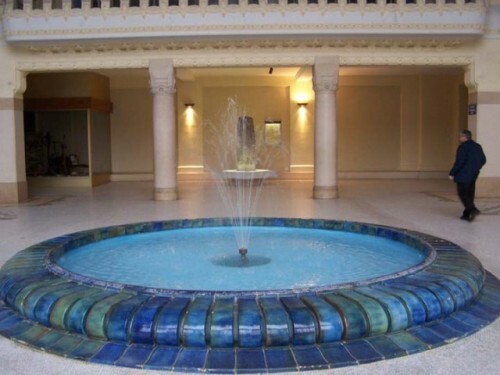 Water falling down will wet natural stones and wood floors. 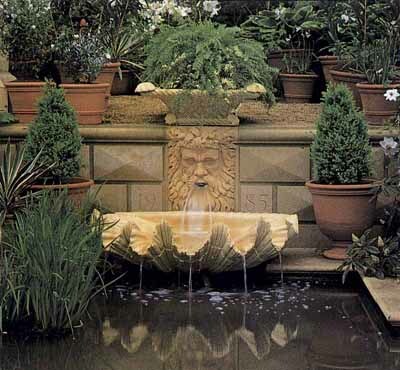 So you can relax by sitting in a wet area in your garden design. While the arrangement of interior space for the family dry of course, still look warm by lighting and interior design in it. Sofa warm, soft and white carpet reinforced the impression of warmth. 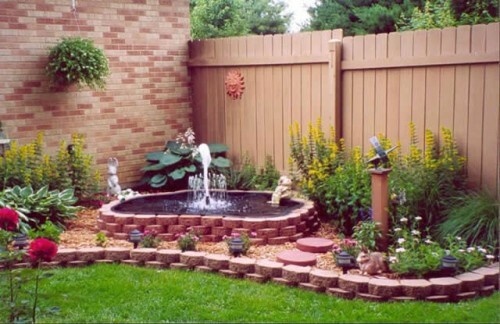 Although slightly apart, you can still enjoy splashing water in the area despite a warm family room.